Pennsylvanians know that our democracy is broken. A recent survey of registered voters found that a whopping 41 percent of Pennsylvania voters cited the government and politicians as the biggest problems facing our Commonwealth. The erosion of public confidence poses a serious threat to the stability of our political system. Perhaps even more troubling is the evidence that corroborates the basis for Pennsylvanians’ distrust. The Electoral Integrity Project ranked Pennsylvania 45th out of the 50 states and Washington, D.C. on electoral integrity based on criteria on 12 criteria, including electoral laws and procedures, media coverage, campaign finance, and district boundaries. It’s not as if Pennsylvania has previously had glowing reviews in this area. 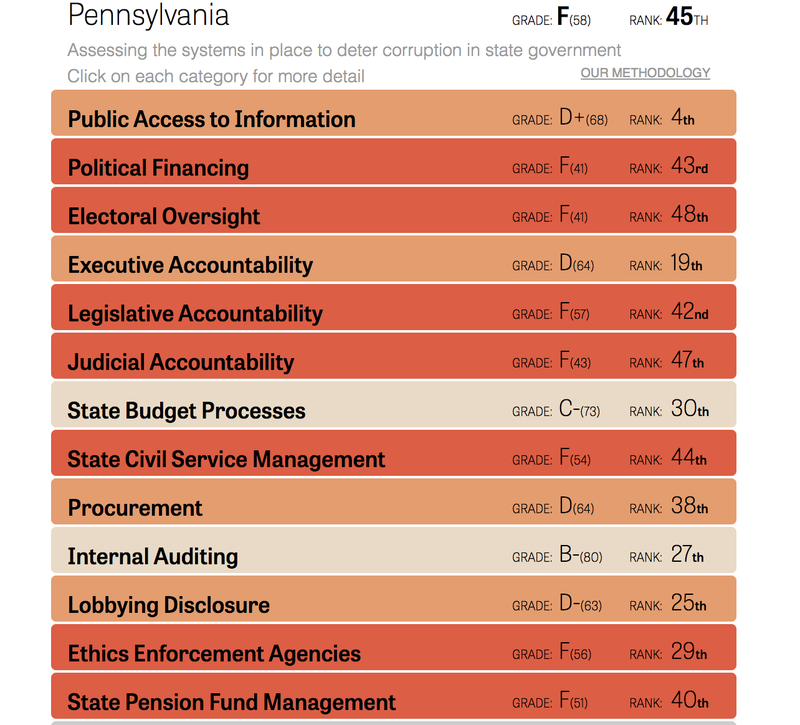 In 2015, Pennsylvania received an “F” grade from the State Integrity Investigation, conducted by the Center for Public Integrity and Global Integrity. This study took into account things like accountability, public access to information and transparency by lobbyists. However, if Pennsylvania is almost the most corrupt and least democratic state in a country that was recently downgraded from a democracy to a “flawed democracy” by the Economist Intelligence Unit in its 2016 “Democracy Index” report, where does that leave Pennsylvanians? Is there anything we can do about it? March on Harrisburg, a nonpartisan action centered around free and fair elections in Pennsylvania, organized by unpaid volunteers, organizers, and activists across the state, is doing something about it. We are lobbying around three issues: automatic voter registration, ending gerrymandering and placing reasonable limitations on gifts to political officials. These issues were selected because they correlate to legislation that has been previously introduced, but has died in committee. Automatic voter registration, a system of allowing government to use the information that it already has to securely register eligible citizens to vote, would usher the U.S out of a nineteenth century voter registration model and into the twenty-first. Many of the other democracies in the world use an AVR system, even Iraq, one of the world’s newest democracies. 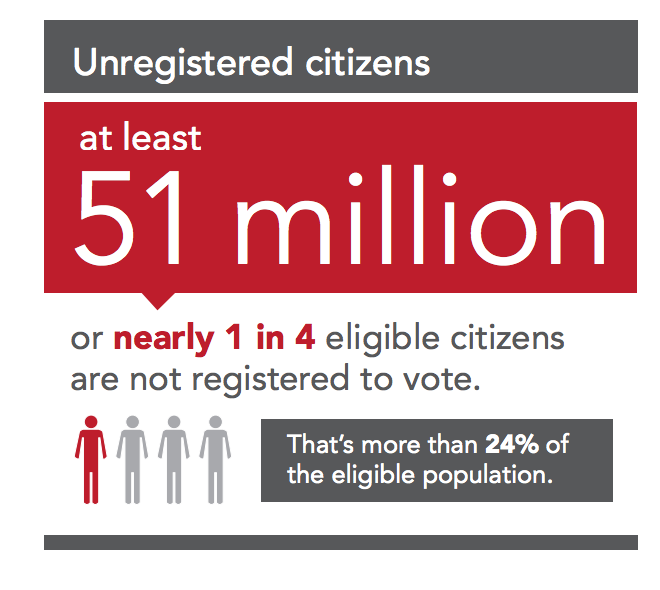 Currently in the United States, there are at least 51 million citizens that are not eligible to vote. Enacting automatic voter registration would allow more Pennsylvanians to participate in government, such as the two million Pennsylvanians that are eligible, but not registered, to vote. And if that’s not enough, AVR is also cheaper for the state. According to a 2012 Pew study, while Oregon’s paper-based system cost over $4 per registered voter, Canada’s electronic system cost the state just 35 cents per voter. We are advocating for HB 193, which was introduced by Representative Ed Gainey, D-24, Allegheny. Just as automatic voter registration creates a more inclusive process for voters, gift limitations would help equalize the voice of voters with lobbyists. Pennsylvania is one of only ten states that does not have any restrictions on what you can “gift” to a legislator. Paid lobbyists routinely give luxury items like vacations, vehicles, tickets, and everything in between to politicians, in the hardly-shielded hopes of receiving favorable legislation for their respective industries in return. Reasonable limitations would strengthen trust between constituents, many of whom cannot afford or imagine giving these kinds of items to their loved ones, let alone their representatives, and help to make the Pennsylvania legislature a more ethical place. The bi-partisan legislation that we are pushing for, SB 132, introduced by Senator Eichelberger, R-30, Blair, and its companion bill, HB 39, introduced by Representative Richard Saccone, R-39, Allegheny, would expand upon current ethics standards by limiting gifts to public officials from anyone other than friends and family members. While a gift is defined as “anything of value,” the legislation provides for obvious exceptions to this rule. For example, meals provided for a legislator during an event at which he or she is speaking, would be exempt from this legislation. Similarly, things of nominal value and small items like pens would also be exempt. Similarly, ending gerrymandering, a process in which legislators are able to select their own voters by allowing incumbents to draw their own congressional and state district lines based on what demographics would support them, would force the legislature to adhere to a more strict code of ethics. Politicians have used gerrymandering at least since 1812, when the then governor of Massachusetts, Elbridge Gerry, signed a bill which allowed him to appropriate district lines beneficial to his party. 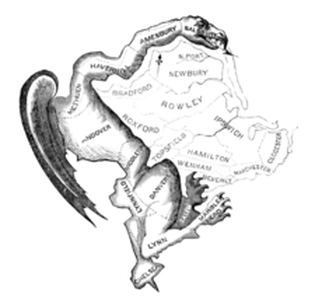 The Boston Gazette famously published an image of one of this districts, likening it to a salamander (“Gerry + Salamander = “Gerrymander”). With gerrymandering, politicians do not need to appeal to the middle. They implement different forms to split up groups so that they are not relevant (“cracking”) or to dilute their presence elsewhere (“packing”). Pennsylvania has some of the worst gerrymandered districts of any state across the country. SB 22, recently introduced by State Senators Lisa Boscola, D-18, Lehigh/Northampton, and Mario Scavello, R-40, Monroe/Northampton, would establish an independent commission to draw these lines, instead of incumbents. Fair Districts Pa, a group that has been working on gerrymandering for years, is also advocating for this legislation and has endorsed March on Harrisburg. To achieve reform in these areas, March on Harrisburg is implementing a three step plan. First, between now and May 13th, we will make contact with every state legislator. Yes, all 50 senators and all 203 representatives. Currently, every other week, organizers and participants travel to Harrisburg for Citizen Lobbying Days to sit down with state politicians to talk about the legislation and ask them to co-sponsor our bills. So far, we have made contact with almost 40 legislators. (Our list of upcoming CD’s is here. You can also set up meetings in-district offices after training with one of our organizers). Citizen Lobbying Days reinforce the mission of MOH by serving as a primer for citizens on how to participate in our democracy while reducing any intimidation about speaking with politicians. While we do have experienced citizen lobbyists on our team, for some of our organizers, lobbying in Harrisburg is their first political action ever! All are welcome and we provide legislative and lobbying training for newcomers. Before March on Harrisburg, I could hardly remember my state representative or senator’s name. Now, Representative Taylor, R-177, Philadelphia, knows my name, and we’ve met on multiple occasions. That’s democracy in action. However, lobbying is only just the beginning. The CLD’s lead up to (you guessed it!) a political pilgrimage from Philadelphia to Harrisburg. From May 13th through the 22nd, we will march, we will rally, we will chant, we will hold teach-ins across the 110 miles. By the time that we arrive in Harrisburg, legislators and staff at the Capitol, will know who we are and why we are there. (They are already starting to recognize members of our team). If, by that time, legislators have not called a vote on our legislation (cough, cough: House Majority leader Rep. Reed), participants will engage in nonviolent direct action to force our legislators to call a vote on our legislation. A note to be clear on: not all participants and organizers need to participate in every element of this action. The beauty of March on Harrisburg is that anyone can plug in, at any level they feel comfortable with. Aside from these three elements, there are another dozen subcommittees that happen behind the scenes in which individuals can get involved in, including Art, Media, Route and Safety, Legislation. There hasn’t been a lot to be particularly optimistic about so far in 2017, especially following a particularly brutal 2016, and it’s easy to feel disenfranchised, powerless and defeated. But the March on Harrisburg is a tangible way to get involved and learn how our state government really operates. In this way, we can reconnect government with us – we the people. For more information on March on Harrisburg, check out our website and our Facebook page. The Declaration publishes opinion pieces which we believe our readers will find engaging. The views in these pieces are those of the writers, not necessarily those of The Declaration.